60X120 Pole Tent for sale by Worldwide Tents! 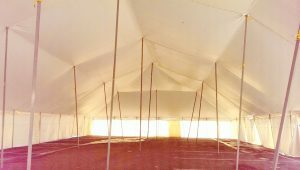 This beautiful used solid white 60X120 Pole Tent is available for sale and comes as a complete package including solid white sidewalls, steel poles, stakes, and ropes. This is a great tent that has been used very little and ready for your event! 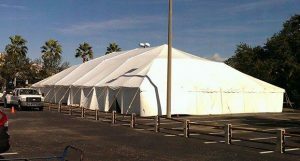 Contact us on this website or call us at 407-579-7187 for pricing and details on this great 60X120 Pole Tent. Great for parties, tent revivals, weddings, missions, etc.! !